Past Jacksonville Aviation Authority Chairman Ron Townsend, who was its first chairman when the JAA was created 10 years ago, talked Monday about its beginning at a ceremony recognizing its decade as an independent authority. It separated from the Jacksonville Port Authority. Current Chairman Chester Aikens (right) talked about JAA’s economic impact and job creation. 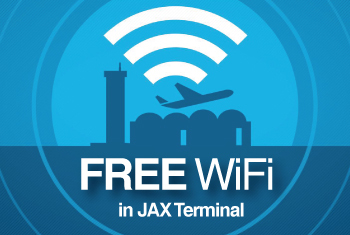 JAA also announced a yearlong celebration of the anniversary and said plans include eventual construction of a third concourse at Jacksonville International Airport. Before the presentation, the JAA board approved an access agreement between JAA and Comcast Cable Communications that would allow JAA to offer Comcast services to its tenants at JAXEX at Craig Airport. The board also approved accepting a supplemental joint participation agreement with the Florida Department of Transportation that would allow it to use $230,000 left over from a previous agreement with FDOT for design and construction of rehab for taxiways A and D, and purchase of support equipment at Cecil Airport. FDOT agreed to allow JAA to expand the description of the previous project to use the funds that were not used. 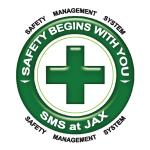 The JAA’s four airports consist of JIA, JAXEX at Craig, Cecil Airport and Herlong Recreational Airport.